Taking a paddle boat and going out into a quiet lake or river fills your mind with a sense of peace. Paddleboarding is one of the best ways to connect with nature especially if you have a lake or river near the place you live. If you haven’t tried but are thinking of trying out the experience of paddle boarding then the Adventurer 2 is an excellent choice for you. It is quite easy for anyone to learn to paddle board. 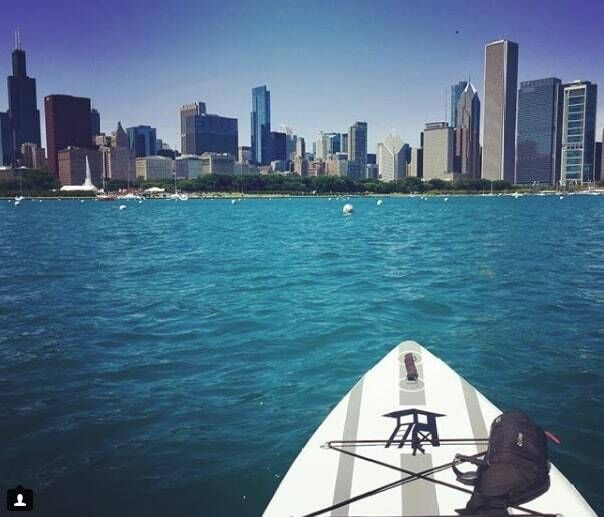 The health benefits that you gain from paddle boarding are well worth the effort. It’s perfect for a family activity too. Once you try it, you will notice how you feel much stronger and better. If you already are a paddle boarder and want to replace your old one with a new board, the Adventurer 2 is an excellent board to buy. Along with being reasonably priced, it is made of high quality and is very sturdy. Who is the Adventurer 2 best for? The Adventurer 2 is an excellent paddle board for a beginner. It is reasonable when it comes to price. It is made of excellent military grade material so you don’t have to worry about accidentally tearing it on rocks. It is very rigid and stable so it is easy to learn on the Adventurer 2. The Adventurer 2 is also great if you are a tall or big person. It can take up to 350 pounds without sinking low into the water. The Tower Adventurer 2 is made of a material which is very rugged. You normally find this type of material in boats of the reputed Zodiac brand. It is made of and river rafts. The Adventurer 2 is made thousands of fibers using drop-stitch technology. This connected the bottom to the top deck and helps it to maintain its shape. When the board is inflated, it is as rigid as plywood. You don’t have to worry about any dents on an inflatable board and the Tower Adventurer 2 is no exception. You can use it on rocky shores or in whitewater rapids. The manufacturer has even thrown them the paddle boards off buildings and driven over it with a car and still, it was in perfect condition. This is because of the drop-stitch construction. The drop-stitch construction is mainly made for ensuring that the board is rigid. They also use the military grade double layered material so that the boards are strong from outside too. Lighter boards which are made by the fused process lose their rigidity fast which isn’t the case of the Tower Adventurer 2. The Tower Adventurer 2 is very easy to carry and easy to store. You can roll up a deflated inflatable paddle board just like you would a sleeping bag. You can also tuck it into your car while traveling to the river or lake. When you are back, you can just tuck it into a closet. Also, inflatable paddle boards are very lightweight. Even a petite rider can carry the board. You can also check it on a plane when you are traveling. Paddleboarding is one of the fastest growing water sports. Anyone from any skill and age level can learn how to paddleboard. It has excellent health benefits. You can use paddle boarding as an excellent way for the whole family to get together and you add a bit more zing to life. It is easy and simple to maintain. You can just rinse it after you use it with water and mild soap. The Adventurer 2 can be used in different conditions. It is; however, best to use it calmer rivers and lakes at home. You can take it in coastal regions and even do a little surfing. Easily carries heavy weight including one who was over 200 pounds. There are no major issues with the Adventurer 2. The most common complaint was that the paddle board is not very nimble but that is because of its size. Another issue is that the free paddle is rather heavy and the paddle surface is small especially since this paddle board may be used by big or tall people. The paddle is a good quality carbon paddle but is quite heavy. When you consider the price and the value for money that you get, the Adventurer 2 is an excellent purchase. It is strong since it is made of military grade PBC material. It is very sturdy and rigid. You can paddle comfortably and the board is made of high-quality material. You get a free high-quality carbon paddle. The Adventurer 2 can carry up to 350 pounds which make it a very strong and dependable paddle board. The two-year warranty and excellent customer services assure you that any issue you may experience will be promptly resolved.